It's 2016. Where are the robots? I don't mean the boring, factory drones that have gone after jobs. I mean the cute ones. The robots that follow you around and make adorable sounds, like WALL-E.
Anki, the company who brought us smart toy race cars, has asked this same question. Then it assembled a group of people who decided to do something about it. And that's how Cozmo was born. 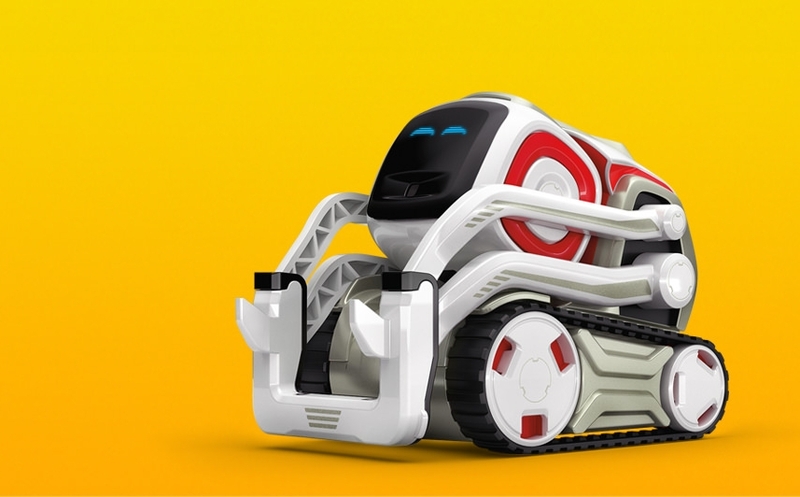 This little robot is small enough to fit in your hand, but Anki says it's smarter than all the Mars rovers combined. Thing is, this little fellow's purpose isn't to discover life on a distant planet. It's to work its way into your heart using cute sounds and endearing movements. Roboticists, animators, and game developers threw their way into this gadget's creation. Over 300 parts comprise each unit, which may be why one costs $179.99. If you don't consider this price a small amount to pay to finally have a robot companion, and you have an Android or iOS device, you can place a pre-order now. Doing so will save you $20. Your Cozmo should ship in October of this year.